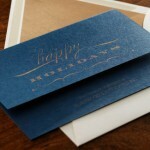 Calligraphy is one of the fun things I do that my clients love! One of my favorite fonts is Bickham. 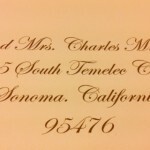 Here is an example of Bickham font style calligraphy I printed for my wedding client. The above example illustrates combination lettering using font styles Bickham and Trajan. The names of the wedding guests are printed in Bickham Digital Calligraphy using Hyegraph Digital Calligraphy & the address is printed on the envelope using Trajan Font Style Calligraphy from Hyegraph. This example illustrates the address for a guest in London, England, however, I work for my clients nationwide including the San Francisco, Bay Area and surrounding cities: Oakland, Napa, Sonoma, Yountville, Carmel, Beverly Hills, New York, Washington D.C., Seattle Washington, Florida, Texas and Hawaii! I will email you a confirmation and start your job. You can pick up your addressed envelopes in 1 to 2 business days or I can Mail Your Addressed Envelopes back to You. Please See our Calligraphy Page for more info or Call Us at 415-626-0461 or for out of the San Francisco Area please call Toll Free at 866.626.0461. You can check out our Happy Customers on our Testimonials page and on Yelp!